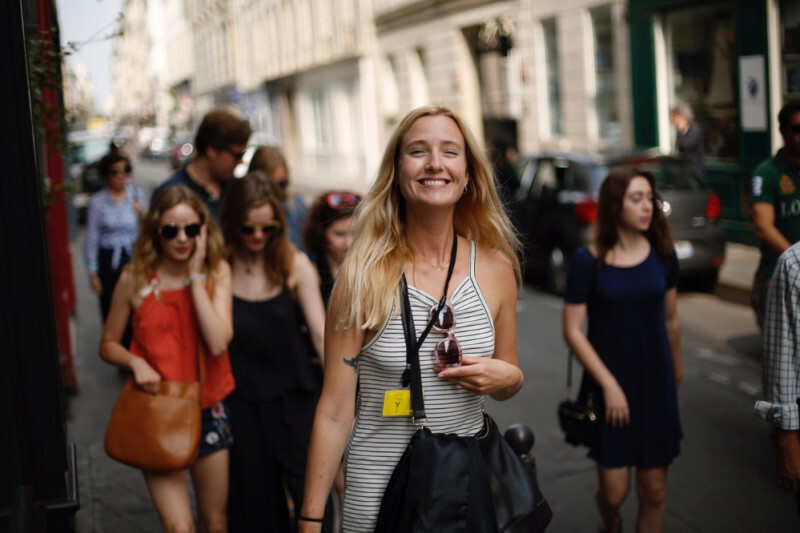 My walking tour company - Women of Paris - was born out of a desire to illuminate the mark of women on a city whose narrative is so often overshadowed by men. We're always hearing about what men have done throughout history, I figured it was time to hear about the girls! At present I offer two different walking experiences: The Essential walk - an overview of women's history and influence in Paris. The Sugar & Spice walk - covering literary women with some tastings of classic French sweets. As the history of the women in Paris is as rich and diverse as the city itself, I want to create many more different walks that explore different themes and neighbourhoods. But in order to do so, I need your help! For EVERY donation - donors recieve an invitation to join the launch of each tour in Paris for free. For each donation of €30 or more - donors receive a free Women of Paris tote bag. For each donation of €50 or more - donors receive a free Women of Paris tour on a date of your choice. For each donation of €70 or more - donors receive a free Women of Paris tour on a date of your choice AND a free Women of Paris tote bag. Finally, for each donation of €100 or more - donors receive a free Women of Paris tour on a date of your choice AND a free Women of Paris tote bag for two! Montmartre is a neighborhood that has long fascinated and charmed me. A former hamlet and then suburb of Paris, this hill was partly founded by the nuns who lived there as far back as the 12th century. As the city developed in the 19th century it was still the women of this hill drawing the crowds in the form of showgirls, courtesans and artists. Then, towards the end of this century as the hill came under attack it was women who strove to protect it. The story of Montmartre is therefore the story of strong, devout sisters, seductive showgirls, progressive artists and daring revolutionaries. Help me to share the lives of these women with the world! From 1940 to 1944 Paris was an incredibly strange place to be; as able men were mostly sent off to fight whilst the women stayed behind to live side by side with the Nazi occupiers. I want to explore the experiences of different women who lived in Nazi occupation and what inspired them to make different choices. From Coco Chanel's lounging at the ritz to Geneviève de Gaulle's bravery in the Resistance, I want to highlight how these women lived and what they did to survive. I really need your help to enable the growth of this business and to create two new tours so that more and more people can discover the city's history from the perspective of its courageous and fascinating ladies. In 2017 women have been marching all across the world to express themselves and demand their human rights and gender equality. Now more than ever is a time for these voices to be heard.